If you’ve recently discovered a love for backpacking, chances are you’re considering investing in a really good backpack: It’s an essential part of the adventurer’s tool kit. 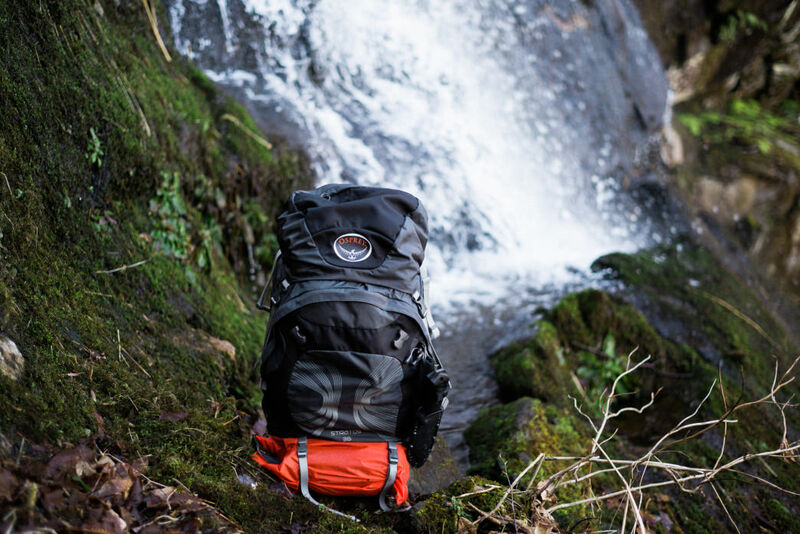 Whether you’re enjoying a long day hike or conquering tough terrain like Alabama’s Pinhoti Trail, you need a pack that fits your body type and carries heavy loads efficiently and comfortably. But choosing a backpack can be intimidating—especially for a first-time buyer. Many products on the market these days are fairly technical, and the gear jargon alone can make your head spin. Then, there’s the issue of knowing the right questions to ask. Here, a primer on how to choose the right backpack so you can hit the trail with confidence. 1. Think about what you’ll use it for. 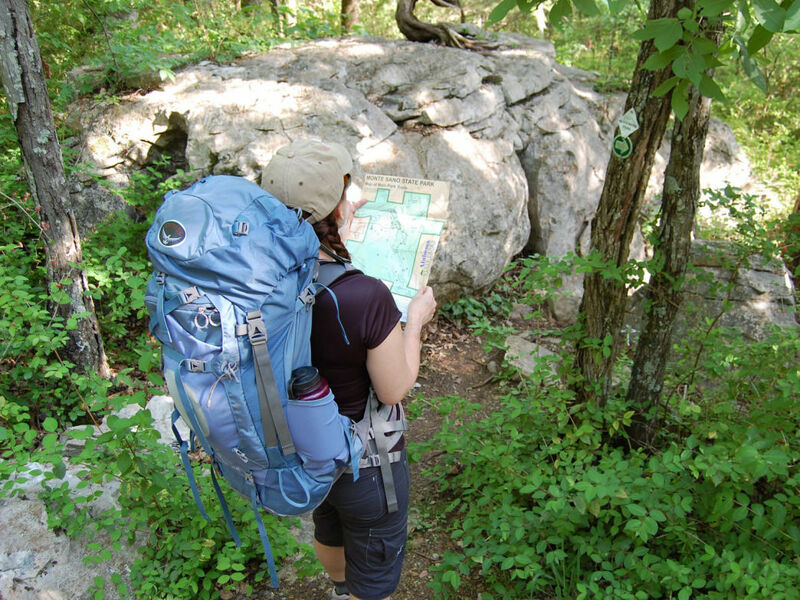 Before you invest in a backpack, take some time to think about what kind of excursions you’ll be using it for. Size is an important consideration. For example, do you need a 6,000-cubic-inch pack for a weeklong trek in the Talladega National Forest, or a 3,000-cubic-inch pack for a weekend excursion to the Sipsey Wilderness? If you’re looking at longer distance hikes, like thru-hiking the Pinhoti Trail, you’ll need something super lightweight. Keep in mind that you can get a bigger pack if you ever want to do longer trips. Also, especially for hiking in Alabama, you will likely encounter warm weather, so look for a pack that offers ample ventilation for your back. Even in winter, you’ll deal with humidity, and a well-ventilated pack will prevent sweat from pooling on your back, which robs you of body heat and can also cause chafing. 2. Do some homework on the basics. Another important early step in how to choose a backpack is becoming familiar with a few basics of backpack design, which will help your decision-making process. For example, an external-frame pack allows more ventilation, but an internal-frame pack provides a more custom fit, distributes the load better, and weighs less. With internal frame packs, toploaders—packs that you fill from the top—tend to weigh a bit less than panel-loaders (which you load through various panels). But one advantage panel-loaders is their multiple access points, which allow easy retrieval of a particular item without digging through all your stuff. Multiple external pockets, meanwhile, can be helpful in organizing your gear. Also, think about whether you want the convenience of a hydration reservoir, which allows you to drink from a tube while hiking. 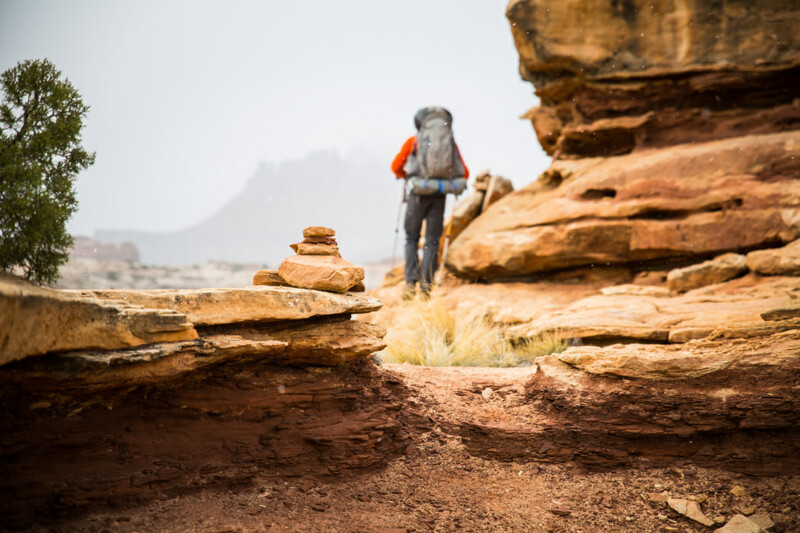 To further narrow your options, consider how much volume you’ll need in your pack. For a weeklong backcountry trip, or a winter trip that requires bulky gear, consider a pack with 65 to 70 liters of volume or more. For 3-5 nights, or trips in warmer weather, 50 to 70 liters should work. For a long weekend, you can take a pack that’s 30 to 50 liters. 3. Choose a daypack wisely. A pack in the neighborhood of 30 liters will hold all of your essentials for day hiking, plus snacks, water and a shell or other extra clothing. If you’re carrying extras for kids, you could jump up to 40 liters. With smaller day packs, you typically can’t adjust the harness for a custom fit, so make sure that the pack fits you comfortably when loaded. For added flexibility, think about getting a pack that has a hydration reservoir as well as elasticized side pockets to hold extra water bottles. 4. Shop at an outdoor specialty store. While buying a backpack online is undoubtedly convenient, if it’s your first time purchasing one, visiting a bricks-and-mortar store is hugely helpful. While big-box stores carry backpacks, to find a high-quality pack that’s going to fit comfortably and last a long time, your best bet is an outdoor specialty store. This is especially true for larger backpacks. 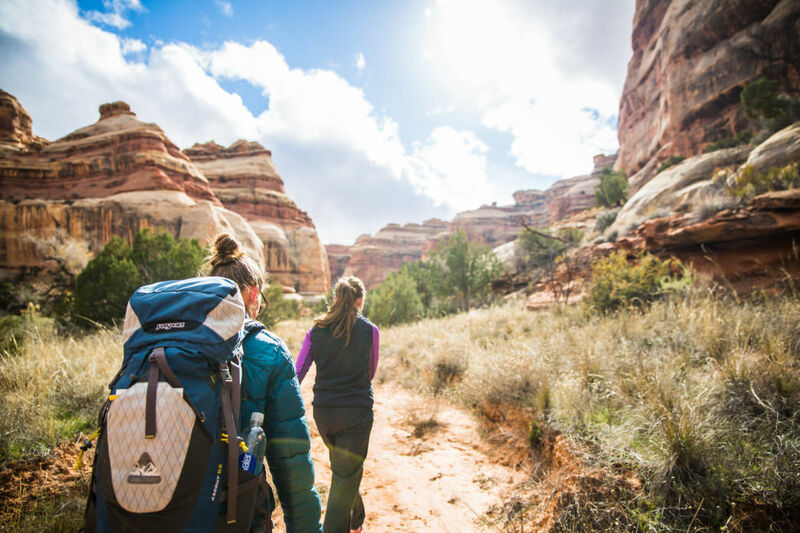 Outdoor specialty stores not only carry the latest gear on the market, they also have staff members who are trained to help you choose the right backpack for you. Share with the staff member the types of trips you’ll take and the environment you’ll be in. This will help determine the size pack you should buy. Of course, a quality pack will cost more, but spending a bit more on your pack—along with other key essentials like hiking shoes and sleeping bag—can be the difference between an enjoyable and torturous outdoor experience. Also, cheaper gear doesn’t last as long, so in the long run, you end up paying just as much with replacements. 5. Choose the proper size. Once you’ve chosen a model, have the salesperson measure your torso (from the hips to the base of the neck) to determine the size pack you’ll need. Keep in mind that some manufacturers offer waist belts and shoulder straps in several sizes to fine-tune the fit. 6. Try on the pack with some weight in it. The staff member should fill the pack with about 20 pounds of weight and then let you try it on. Ask the staff member to show you the proper sequence for adjusting the waist belt, hip straps, shoulder straps, sternum strap, and load-lifter straps. When all the straps are secure, check to make sure the pack is sitting properly at the shoulders and hips. This is also a good time to get advice on how to properly pack your gear to balance the load effectively. 7. Get a feel for the fit. Don’t be shy about wearing the pack and walking around the store for several minutes. Pay attention to how it feels, and ask for help if you need to adjust the various straps to balance the load between your shoulders and hips. Accessories include a rain cover for your pack, a hydration reservoir, or extra straps to lash items to the pack. Don’t worry about purchasing them all at the same time, however: You can always come back for the extras later. 9. Don’t forget about packs for the kids. When you take kids backpacking, start them off with a pretty light load, and gradually add more weight if they handle it ok. In general, active kids can carry about 20 percent of their body weight, though inactive kids might need to carry less. Generally, kids ages 5-10 can handle packs with 1,500 to 2,500 cubic inches of volume. For a very short day hike with an extremely light load, a kid might be able to use a frameless bookbag or backpack. But, for a longer excursion with a greater load, up-and-coming adventurers will also need a pack that has a frame to help bear weight. 10. Break your pack in on a day hike. You’ve got your brand-new pack and are eager to try it out, but your first adventure with it shouldn’t necessarily be a two-week thru-hike. Instead, start out with some shorter day hikes to get a feel for the weight, fit, and any issues like chafing. In addition, you’ll get a run-through of packing, storage, and hydration, which is great prep for when you’re ready for a bigger trip.